Rock My Soul Welcomes New Singers! Rock My Soul, a secular gospel choir, rehearses every Tuesday from 7 to 9 pm in South Berwick, ME. If you can commit to a fun, spirited, quality musical experience, please email or call 207-450-8016. Visit our online store to order our CDs and tees. Free shipping! 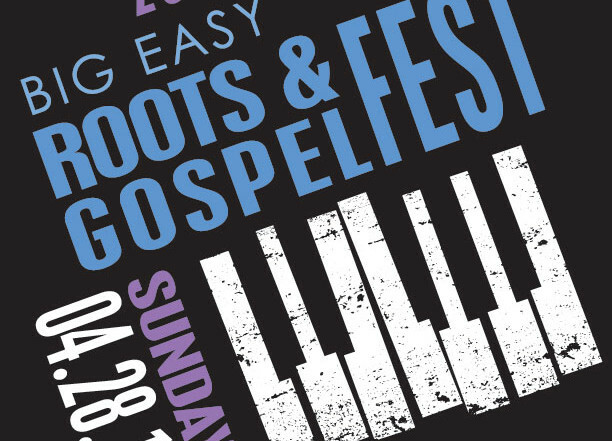 Big Easy Roots & Gospel Fest! A crucial part of our mission is to provide high quality, live musical performances at nursing homes, hospice facilities, counseling centers, and other community programs where people are in need of uplifting, but can’t afford to have music brought to them. We’ve seen firsthand how sharing a song transforms lives, and it is a profound experience. To help the community experience the joy of singing and performing gospel music, we sponsor a secular gospel choir called Rock My Soul. The group has gained great critical acclaim and provides joy and a strong sense of community among its members. We welcome new singers; reading music is not necessary. Five of the soloists from Rock My Soul also perform as a smaller group known for rich harmonies and unique arrangements of roots and gospel music. By becoming a Friend of ProjectMusicWorks, you not only help keep our organization strong, you also receive benefits such as discounted concert tickets and merchandise, reserved seats and parking, and/or backstage passes to shows. 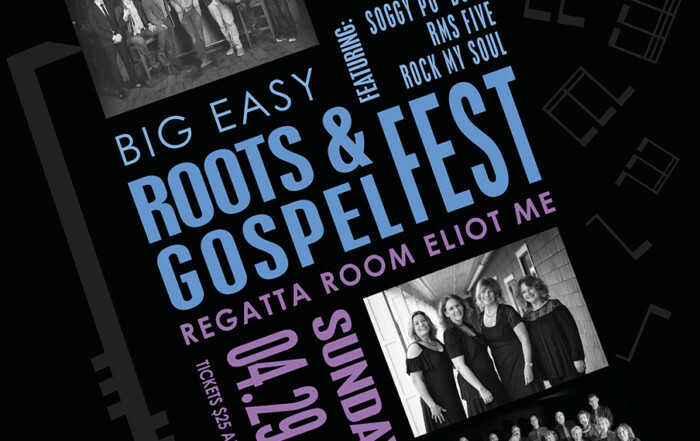 Big Easy Roots & Gospel Fest 2019! Big Easy Roots & Gospel Fest 2018! Your music not only helped the families and staff at Hyder House, it brought an estranged couple back together before the wife passed on. Thank you for such a wonderful gift. Dakota and I went to the Rock My Soul concert…. His nurse sings in the choir. They are amazing! Dakota loves music in general but to see how he reacted tonight makes me want to bring him to all concerts and musicals. (This has been added to his experience list.) The smile on his face, the clapping and kicking of his legs was just pure excitement. Donations are tax-deductible as allowed by law. Our nonprofit tax ID is 47-0939953. Copyright © 2018 ProjectMusicWorks. All Rights Reserved. Prefer to Make Monthly Payments? It's easy. Just choose the membership level and payment that's right for you, click on the Subscribe button, and let Paypal do the rest. You'll be billed monthly for 12 months automatically.